One of the contagious diseases that killed tens of thousands was smallpox. Smallpox mainly targeted children and infants. Smallpox is a contagious disease caused by the variola virus. Its defining characteristic is the raised bumps that appear all over the body. The symptoms of smallpox consist of fever, overall discomfort, headache, severe fatigue, severe back pain, and possible vomiting. 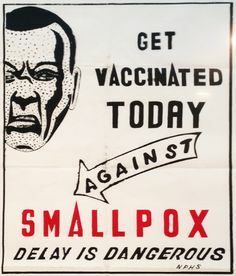 vaccine for smallpox. Jenner noticed that a milkmaid that previously had cowpox was not effected by smallpox. Jenner took a sample of pus from a lesion of the infected woman with cowpox and administered the pus to a boy. After a few weeks, Jenner then tried to infect the boy with smallpox, but the boy was unaffected by the disease. Jenner then made the vaccine using cow serum using the lymph of the infected cow and tested it on several children including his own son; all cases proved to be successful. Typhoid, also known as typhoid fever or enteric fever, is an infection caused by the bacteria Salmonella typhi. Typhoid is usually transmitted by water or food, in much the same way as cholera. People who are infected excrete live bacteria in their feces and urine. They are usually contagious for a few days before any symptoms develop. The most common symptom is a high fever, but also constipation, cough, loss of appetite, stomach pains, and then symptoms will get worse. When typhoid fever has taken over your body you may have rectal bleeding, delirium, severe diarrhea, and pink spots on your abdomen and chest. During the Victorian era typhoid fever claimed the lives of about 30% of who were infected. In 1896, Almroth Edward Wright developed a vaccine to prevent typhoid fever. The vaccine was very effective and the rate of infected persons steadily decreased as vaccines were more widely accepted. protests, with as many as 20,000 people, stormed the streets of London with disapproval of the forced vaccinations. “Every day the vaccination laws remain in force parents are being punished, infants are being killed,” wrote Alfred Russel Wallace. Wallace was the most powerful voices in the anti-vaccination movement during the Victorian era. However, as the years went on the proof that vaccinations helped decrease the infant mortality was difficult to ignore. 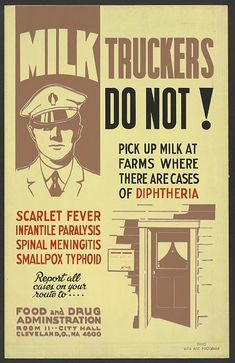 Health officials, as well as parliament, pushed with great force to vaccinate children, and by the end of the ninetieth century it proved to be successful. According to The annual report on the health in Kensington for the year 1895, “It is stated in his report that of 3,689 infants whose births were registered, 2,948 were successfully vaccinated; 342 died before attaining the age for vaccination.” Child mortality rate had decreased to about 16% by 1900 and vaccinations played a significant part in that.